Day 29 was actually a knit with me day instead of a stitch with me day. 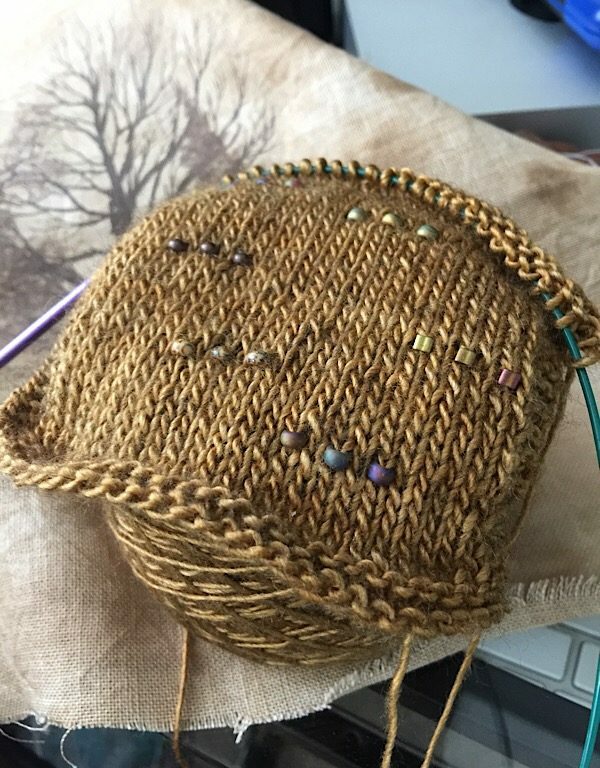 Laura Nelkin was releasing a new club pattern, and I needed to swatch the yarn and choose bead. So join me for a knit with me day! 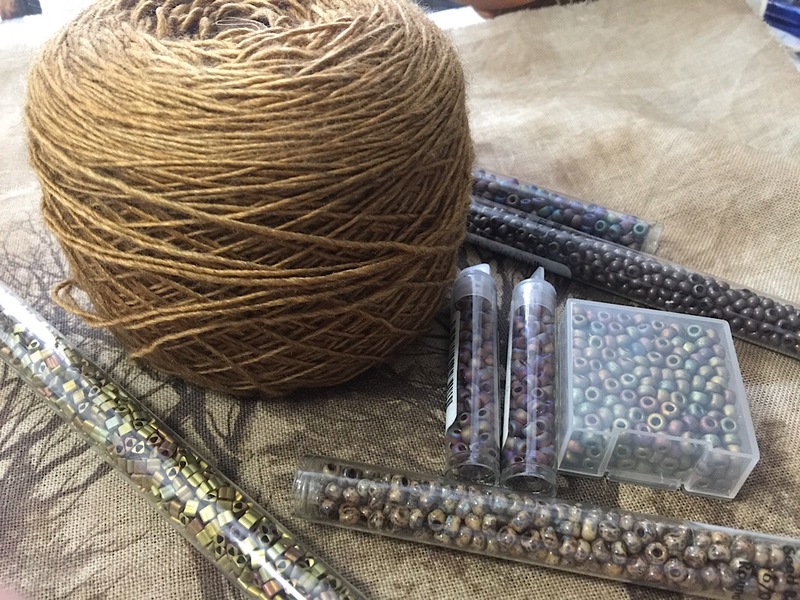 Since I had made kumihimo jewelry in the past, I had built up quite a stash of size 8/0 and 6/0 seed beads. There is a n0-bead option with Laura’s N Club kits, so that’s what I’m getting, which means I had to choose from my stash for beads for this design. I decided to rope my viewers in to help me choose beads. 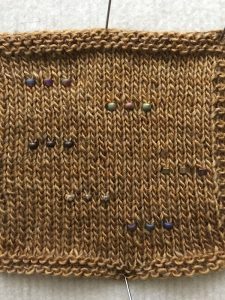 The best way to choose beads for a project is to see them on the yarn, and since we have to (really, we do have to) knit a swatch anyway, I incorporated the beads in to the swatch. I love how all of the beads look, so I really was having a hard time deciding. Most of my viewers and commenters on Instagram liked the second one from the top the best. I still couldn’t decide, so decided to wait for Laura’s live Facebook reveal for Club members that evening. 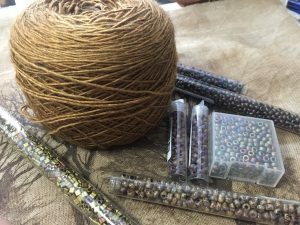 I knew once I saw how the beads were actually used, I would know which beads were best. 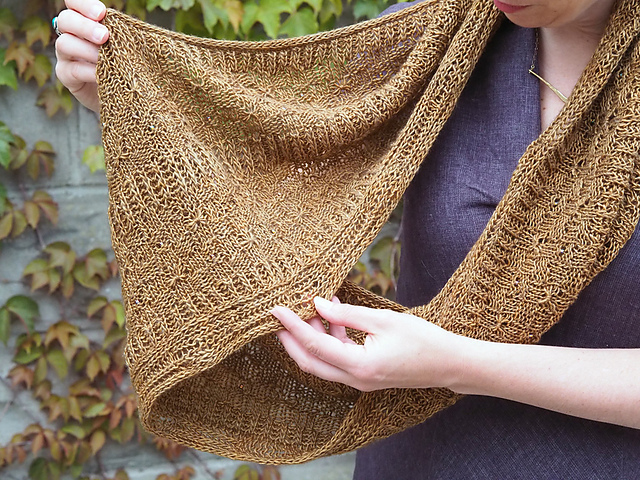 The design is called Caramelized Cowl, and it uses Kettle Yarn Co.’s Beyul Singles in an exclusive colorway called Praline. The yarn is a yak/silk/merino blend, and it is luscious! The design will do it justice. The pattern is exclusive for N Club members for the first year. The beads are just lightly sprinkled through the design, so I’ve decided to go with the one that most people liked. They are the ones that stand out the best, and to be honest, those were the first beads I thought of when I first saw the yarn. 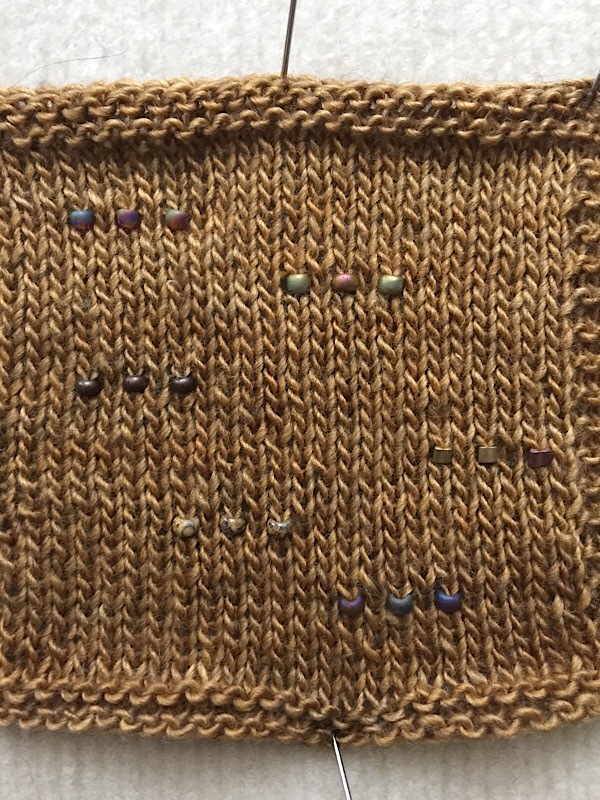 Next step, I need to block my gauge swatch, measure it to see if I got gauge, and then cast on! In the meantime, check in tomorrow when I’ll be returning to another WIP!